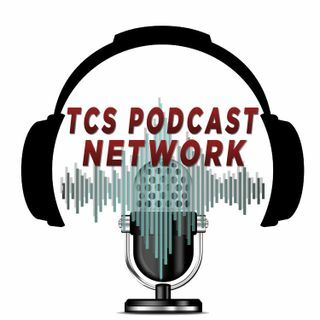 The TCS Podcast Network is home to great content that will entertain and captivate. TCS produces The Unfiltered Gentlemen Beercast, I Want To Know, Beer Harmony and more! On a mission to find that perfect harmony between hops, malt and yeast! We are a craft couple, here to review craft beer for you. Our mission is to provide beer reviews in under ten minutes so that you can have a listen on your way to your favorite bottle shop. We will also throw in some food pairing suggestions, so whether it's a ... Maggiori informazioni date night or a day of drinking with your friends, you'll have the right beer for the right occasion. “I Want to Know” is an interview style podcast that is all about curiosity and asking the unanswered questions in order to take an in-depth look at any given subject. An audible falling down the Google hole. It’s about all of those times you hear of something interesting and then you look up and you realize you forgot to take your hot ... Maggiori informazioni pocket out of the microwave two hours ago. The topic for each episode could be just about anything: from talking to an expert on a ghost town to interviewing a WWII vet or maybe a survivor of a cult. Hosted by podcast veteran Greg Jones (The Charity Strike, Awkward Apocalypse), this show will become your inquisitive departure into audio wisdom. The Unfiltered Gentlemen ‘Craft Beer-cast’ is a weekly podcast centered around craft beer: the liquid, the lifestyle and everything in between. In addition to craft beer, we cover sports, booze news and everything else that is best-served ice cold and unfiltered. Every week Greg, Scott, and Dan, with some help from their beer-reviewing ... Maggiori informazioni contributors from around the globe, are keeping you entertained and well hydrated with their craft beer reviews, beer experiments, and all the essential Booze News. Every few weeks we sit down with the head brewer or owner of local craft breweries to sample their craft and find out their story. The gentlemen also break down some sports news, make your life easier with booze hacks, keep you laughing with their Tales from Uber and so much more all while keeping the fun going with their unfiltered brand of humor. So grab your libations and cozy up to a new batch of The Unfiltered Gentlemen every week!